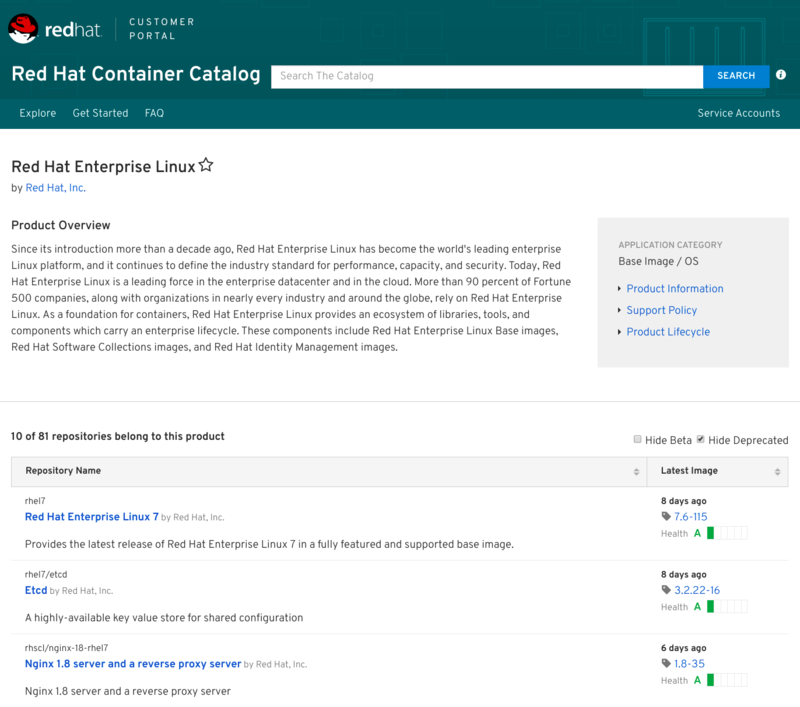 By clicking Explore The Catalog, we’ll have access to the full list of containers categories and products available in Red Hat Container Catalog. 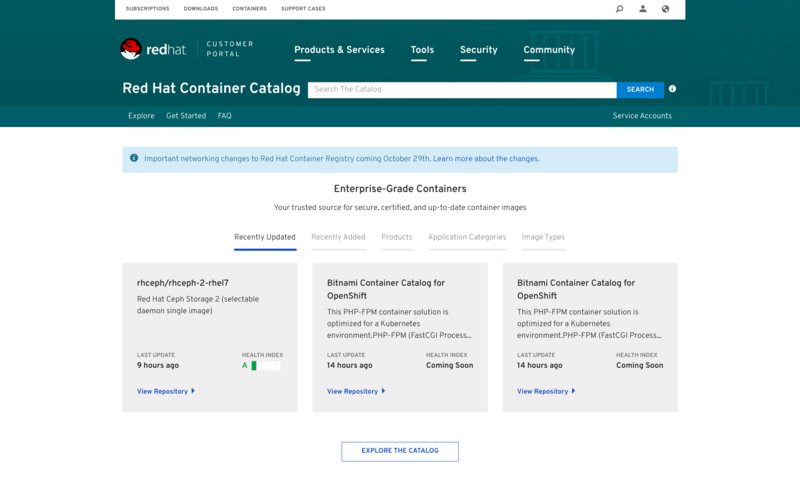 At the time of writing this article, in the RHEL category there were more than 70 containers images, ready to be installed and used on RHEL 7 systems. So let’s choose some container images and try them on a Red Hat Enterprise Linux 7.6 system. For demo purposes, we’ll try to use Apache HTTPD + PHP and the MariaDB database for a WordPress blog. 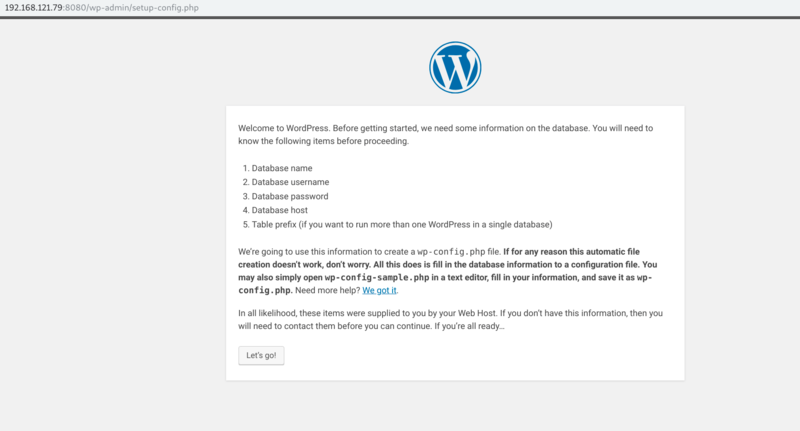 We’ll start by installing our first containerized service for setting up a MariaDB database that we’ll need for hosting the WordPress blog’s data. As explained in my previous article, Podman complements Buildah and Skopeo by offering an experience similar to the Docker command line: allowing users to run standalone (non-orchestrated) containers. And Podman doesn’t require a daemon to run containers and pods, so we can easily say goodbye to big fat daemons. By installing Podman, you’ll see that Docker is no longer a required dependency! After that, we can look at the Red Hat Container Catalog page for details on the needed variables for starting the MariaDB container image. /usr/bin/podman run --name mariadb-service says we want to run a container that will be named mariadb-service. –v /opt/var/lib/mysql/data:/var/lib/mysql/data:Z says we want to map the just-created data directory to the one inside the container. The Z option informs Podman to map correctly the SELinux context for avoiding permissions issues. 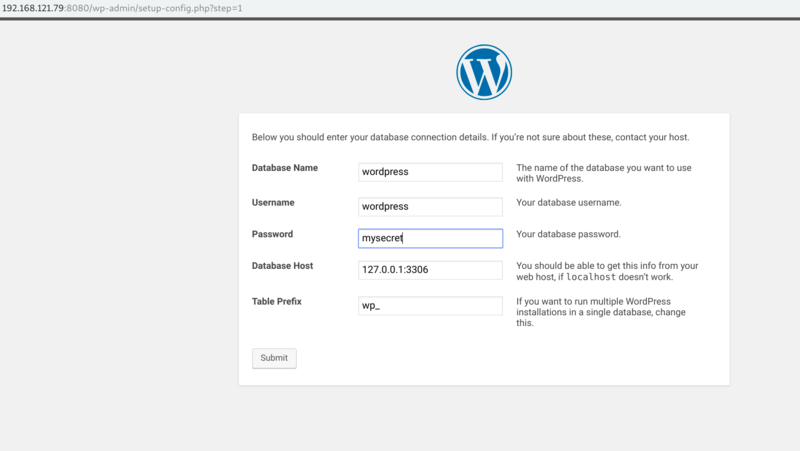 –e MYSQL_USER=wordpress -e MYSQL_PASSWORD=mysecret -e MYSQL_DATABASE=wordpress identifies the additional environment variables to use with our MariaDB container. We’re defining the username, the password, and the database name to use. --net host maps the container’s network to the RHEL host. registry.access.redhat.com/rhscl/mariadb-102-rhel7 specifies the container image to use. Nov 08 10:47:14 localhost.localdomain podman: 2018-11-08 15:47:14 140277156538560 [Note] Plugin 'FEEDBACK' is disabled. Nov 08 10:47:14 localhost.localdomain podman: 2018-11-08 15:47:14 140277156538560 [Note] Server socket created on IP: '::'. Nov 08 10:47:14 localhost.localdomain podman: 2018-11-08 15:47:14 140277156538560 [Warning] 'user' entry 'root@b75779533f08' ignored in --skip-name-resolve mode. Nov 08 10:47:14 localhost.localdomain podman: 2018-11-08 15:47:14 140277156538560 [Warning] 'user' entry '@b75779533f08' ignored in --skip-name-resolve mode. Nov 08 10:47:14 localhost.localdomain podman: 2018-11-08 15:47:14 140277156538560 [Warning] 'proxies_priv' entry '@% root@b75779533f08' ignored in --skip-name-resolve mode. Nov 08 10:47:14 localhost.localdomain podman: 2018-11-08 15:47:14 140277156538560 [Note] /opt/rh/rh-mariadb102/root/usr/libexec/mysqld: ready for connections. Perfect! MariaDB is running, so we can now start working on the Apache HTTPD + PHP container for our WordPress service. As you can see from the previous commands, we got no volume from the container details. Are you asking why? It’s because this container image, even if it’s part of RHSCL (formerly known as Red Hat Software Collections), has been prepared for working with the Source-to-Image (S2I) builder. For more info on the S2I builder, please take a look at its GitHub project page. Unfortunately, at this moment, the S2I utility is strictly dependent on Docker, but for demo purposes, we would like to avoid it..! So moving back to our issue, what can we do for guessing the right folder to mount on our PHP container? We can easily guess the right location by looking at all the environment variables for the container image, where we will find APP_DATA=/opt/app-root/src. And finally, run the installation! 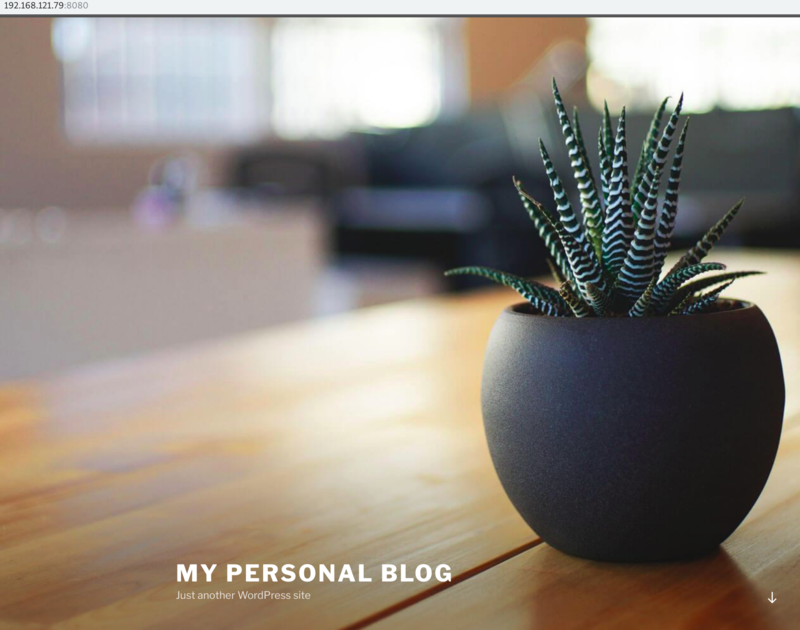 At the end, we should reach out our brand new blog, running on Apache httpd + PHP backed by a great MariaDB database! That’s all folks; may containers be with you! 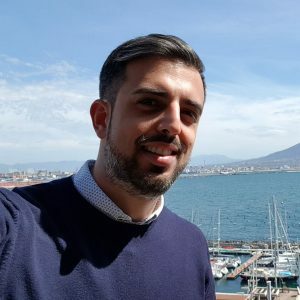 Alessandro Arrichiello is a Solution Architect for Red Hat Inc. He has a passion for GNU/Linux systems, which began at age 14 and continues today. He worked with tools for automating Enterprise IT: configuration management and continuous integration through virtual platforms. He’s now working on distributed cloud environment involving PaaS (OpenShift), IaaS (OpenStack) and Processes Management (CloudForms), Containers building, instances creation, HA services management, workflows build.